We're told we'd need to find an extra £5bn every year to be able to afford an NHS that maintains standards, free at the point of delivery. We're told it's only possible if we allow the private sector to take on more of our healthcare delivery. We're told that other countries, including the progressive lefty ones, use a mix of public and private to be able to afford modern healthcare. Our system is the most efficient and cost effective. We’re spending less than almost everyone else – i.e. not enough. If we spent more, it should be on the system that is the most efficient and cost effective. Ours. First, here’s the graph from a report by NHS England, showing how funding is falling behind spending requirements. Now take a look at the costs, per head, of all the OECD countries. You’ll see that every nation has a mix of public and private provision, to varying degrees. 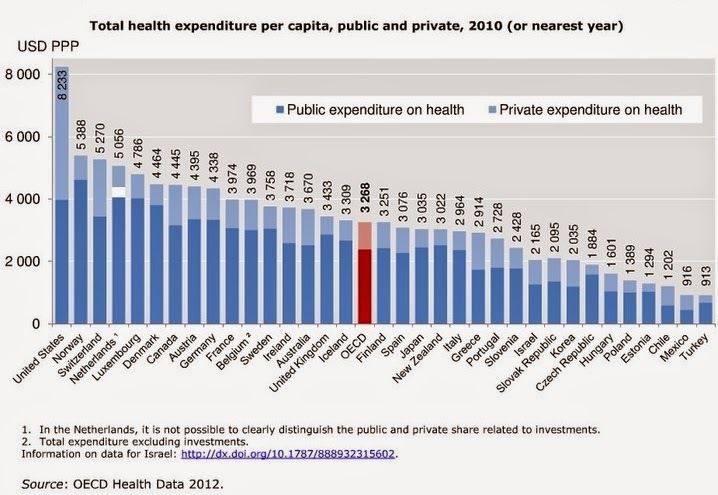 What it shows is that the UK spends less than almost any nation comparable to ours. What else does it tell us? If we had almost any of the other comparable nations’ public-private mix, we’d be spending more than that £5bn extra already. Any other system we choose that costs approximately $125/head (=£83/head) more than ours, will end up costing us more than that £5bn the NHS needs. Let’s now dig a little deeper into the performance of each country: quality, accessibility, efficiency, and results. The Commonwealth Fund, a healthcare think tank based in the US, ranks a range of comparable countries, by different criteria. The UK came top in most, and overall. 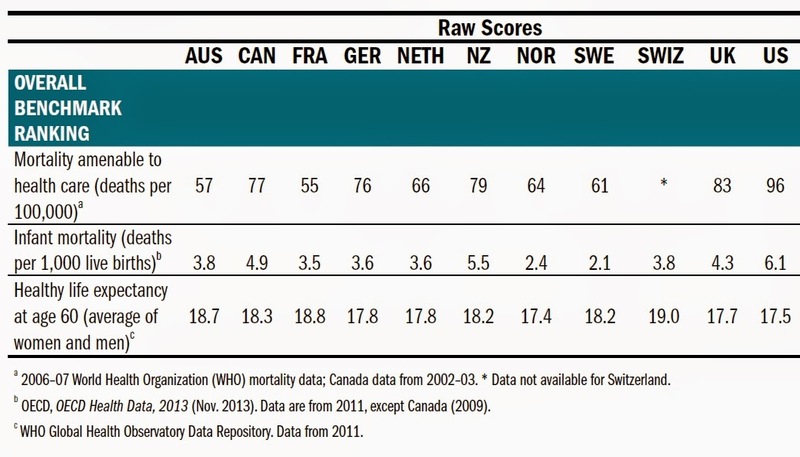 You’ll note that the UK comes almost bottom in one, very important criteria: Healthy Lives. Compared to these other nations, our overall mortality rates, infant mortality, and life expectancy figures are indeed among the worst. But isn’t that because we’re spending less than the others, rather than because we don’t have enough private provision? 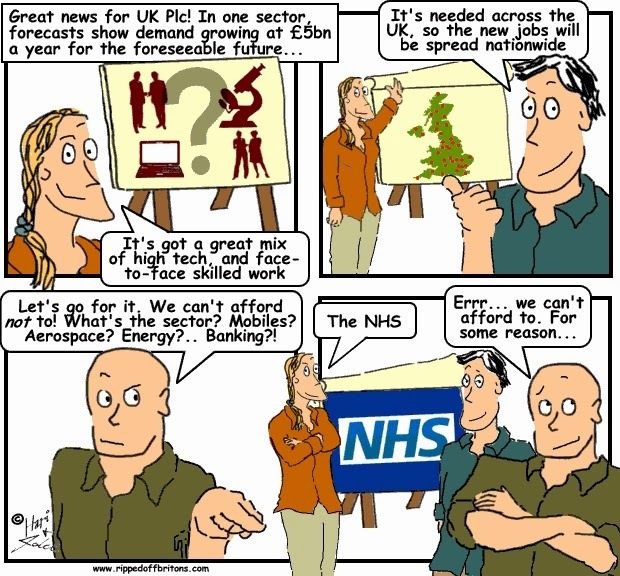 There is no doubt one big advocate for spending that extra £83 per head: the private healthcare companies and their friends in government, on condition none of it is spent on the NHS. Looking forward, our healthcare system will need to find extra billions not just for one year, but for every year due to ageing populations and more expensive yet better treatments. But so will every other nation, whatever their mix of public-private delivery. Remember that every £1 invested in health care or education, generates £3 in the economy, as quoted from The Body Economic by David Stuckler and Sanjay Basu.